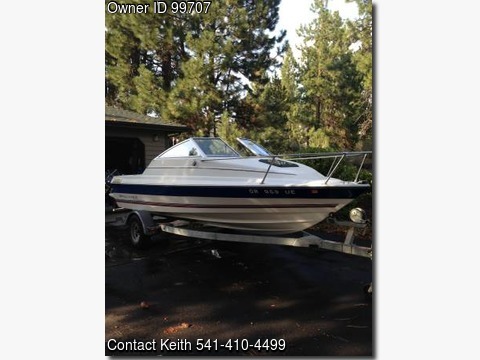 Please call owner Keith at 541-410-4499.Boat is in Bend, Oregon.Single owner of this 1994 Bayliner. Used 2-3 times a year with family in local lakes. Perfect for overnighters, sleeps 2 comfortably in cuddy, seats fold down for 2 more. New glass float and carburetor jet tune. Trailer wheel bearings repacked last year. Galvanized original trailer with new winch strap and trailer stand. USCG safety inspection done last year , life jackets included. Original paperwork and owner manuals, clean title. Fishing pole mounts for holders, Interphase 220 fish finder/depth/speed and water temp.